ROTOCONTROL, a manufacturer of leading-edge finishing machines today announced the sale of two finishing machines to Italian converter Italgrafica. Ordered was a ROTOCONTROL RSC-series slitter/rewinder and a custom-built C-series high-quality slitting machine, for slitting non-adhesive material and finishing a range of blank and printed self-adhesive labels, serving a variety of industries. The ROTOCONTROL RSC-series is a high-performance, compact, extremely robust machine designed to maximize operator efficiency in the finishing of labels. Available in a range of widths up to 640mm and operating speed up to 320M/m, the RSC offers a full suite of standard features necessary for immediate operation: 100% servo motor control including unwind, cartridge slitting system, vertical inspection zone, automatic tension control, S-Drive servo driven operation, job save and simple, functional controls. The RSC slitter/rewinder ordered by Italgrafica will be built with a BST Shark 4000 LEX 100% print defect detection system and the ROTOCONTROL electronic knife positioning system (EPOS), which fully automates the slitting set-up, reducing job change time to less than a minute, even with shear systems using upper and lower blades. 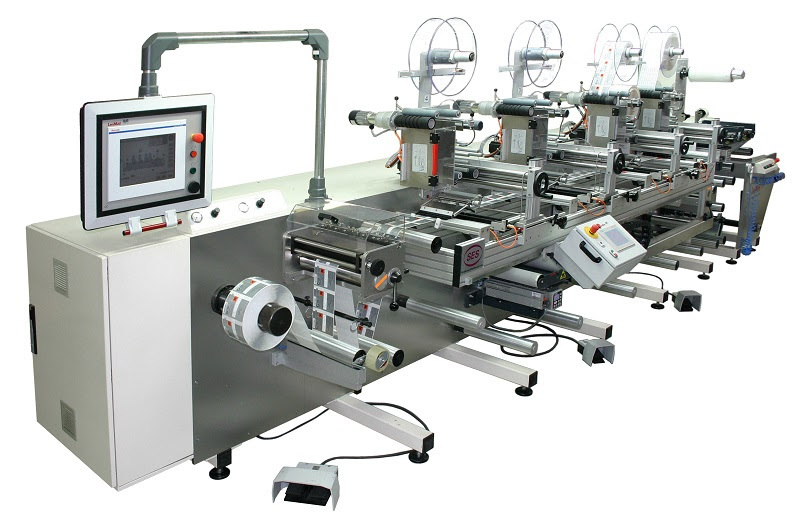 The second finishing machine ordered by Italgrafica is a fully-loaded, modular and custom-built ROTOCONTROL C-series. Accommodating 340mm and 540mm web widths, the C-series designed for Italgrafica also features a large unwind diameter of 1000mm, decurling device, three die stations (including back-side die cutting), three label dispensers and a sheeter station. The C-series is a high-quality slitting machine that can be custom-built with a range of options for the finishing of blank labels, multi-layer labels, blister foils, RFID smart tickets/labels and more. Headquartered in the province of Vicenza, Italgrafica is part of the Konig Print Group and produces a range of blank and printed self-adhesive labels, thermal labels, in-mould labels, ISEGA certified labels, shrink-sleeves and tags. Italgrafica serves a range of markets including beverage, food, floriculture, chemical, retail, logistics, and clothing with finishing options including hologram, braille, resin, scratch-and-sniff, hot stamping, screen printing, and RFID. Italgrafica was the first Italian company to produce environmentally sustainable labels. Francesco Niorettini, general manager of Italgrafica comments: "We evaluated other finishing alternatives but decided to invest in ROTOCONTROL as they were able to provide an advanced solution, customized to our needs. With our vast range of label, tag, and flexible packaging product capabilities, printed with 14 production lines using a combination of offset, flexo and digital printing, we needed to expand with a high-quality finishing solution. Our two new ROTOCONTROL machines achieve this goal."